The State Fair has everything on-a-stick — even math! 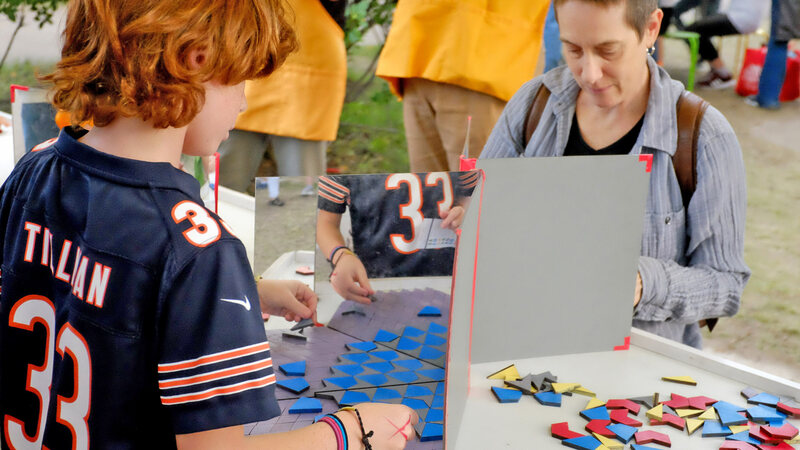 The Math On-A-Stick experience is a welcoming space where kids and grown-ups can explore fun math concepts at the fair. Play with geometric and reptile-shaped tiles to create designs and patterns. Sort, count and look for what's the same and what's different in groups of colored eggs on captivating cards. Take a break from the hustle and bustle of the fair to enjoy a shapes or numbers book. Brought to you by the Minnesota State Fair Foundation.